a collaborative canvas designed for the MLK day of sevice in nyc. thanks to ralphy perez, from Xmental University Paint Straight program who invited me to participate and to jesus mercad, a very talented artist and stellar graduate of XU. check out their website to find out more and support them. 16 Jan	This entry was published on January 16, 2012 at 11:58 pm. 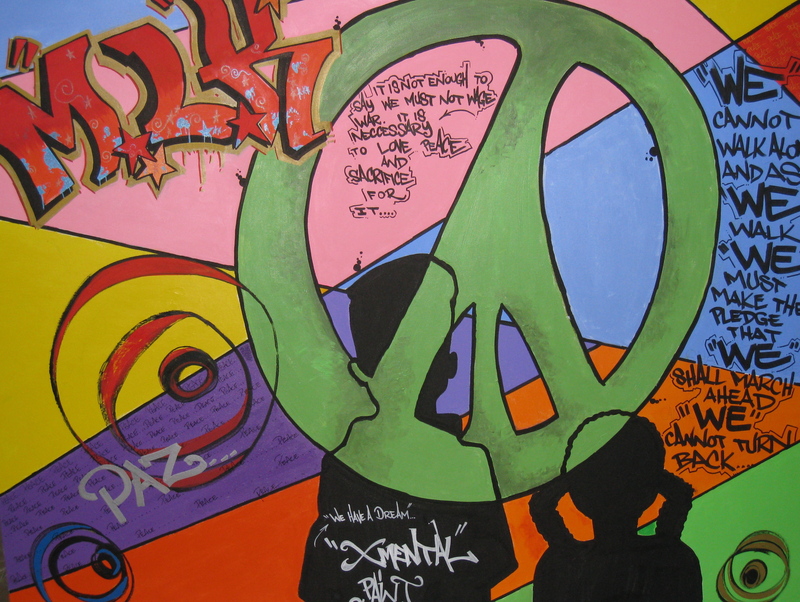 It’s filed under artwork and tagged canvas, mlk day, nyc, paint straight, paz, peace, service, xmental university. Bookmark the permalink. Follow any comments here with the RSS feed for this post.